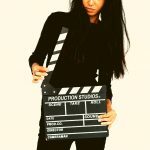 What Is Video Marketing And Why Is It So Powerful? 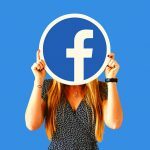 If you’ve caught up with our previous blogs including some of the key problems with Facebook and the benefits of starting a vlog, you’ll already be aware that video content is incredibly important in the marketing world. But you may not be completely clear on exactly what video marketing is, and why it holds so much power. Video marketing is definitely something you need to get your business on board with now before it’s too late and your marketing strategy suffers. You don’t want to be dragging behind your competitors, unable to catch up. Video marketing is something that takes time, but is well worth doing. It is so beneficial for your business, and where content creation is concerned offers the highest ROI of any form on content marketing you can invest in. 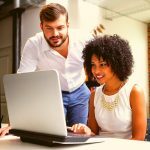 As a savvy business owner, I’m sure you feel like you’ve explored all options to help uplift your business, and really reap the rewards of a successful marketing campaign. But have you really given the full video marketing experience a go? Have you taken time out to push your brand through video, and take advantage of the power of video to rank higher on SERPs? Get to grips with it now, before you’re outshone by your competitors’ knowledge, and the simple fact that have created their content in video format, while you haven’t. 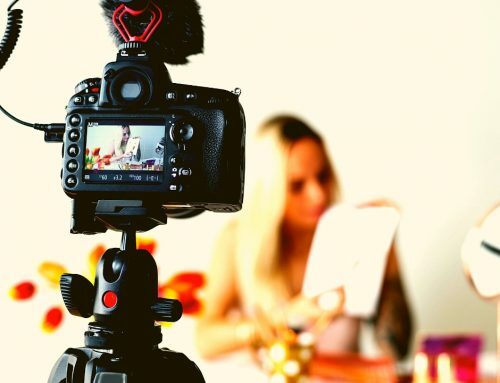 In short terms, video marketing is the easiest way to offer your audience a more engaging way to absorb your content, look at what you’re doing, and get up-to-date news on your brand, products, and services. Your marketing campaigns will be made infinitely more effective, on multiple levels, simply because you have included video. 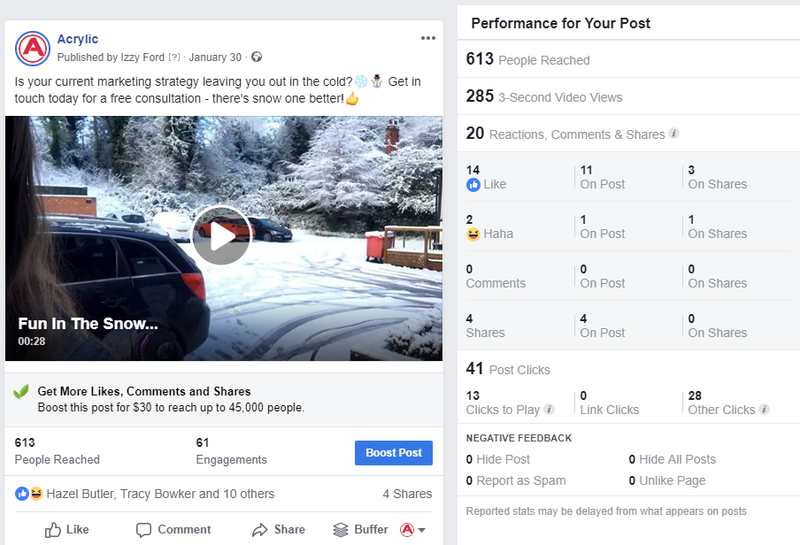 Whether you choose to use video in social media posts (currently utterly essential for creating any engagement at all on Facebook), for the SEO on your website, or for advertisements, the options for using video format in existing marketing strategies to boost your ROI are endless. And it doesn’t stop there. You have the option to live-stream, create tutorials, add passive income products to your revenue stream, and deliver highly engaging content that your audience is actually interested in watching, while they wouldn’t be interested in reading it in blog form. Check out these screenshots of our Facebook page. In a comparison of our video posts to our picture posts, we always get more engagements and a wider reach. Look at the 393 people reached vs the 613 people, or even the 20 reactions vs only 8. That’s a big difference! These are purely organic posts, made at the same time of day, visible to the same audience. The only difference is that one uses an image, and one a video. That one change increased our reach by 56% and our engagement by 150%! 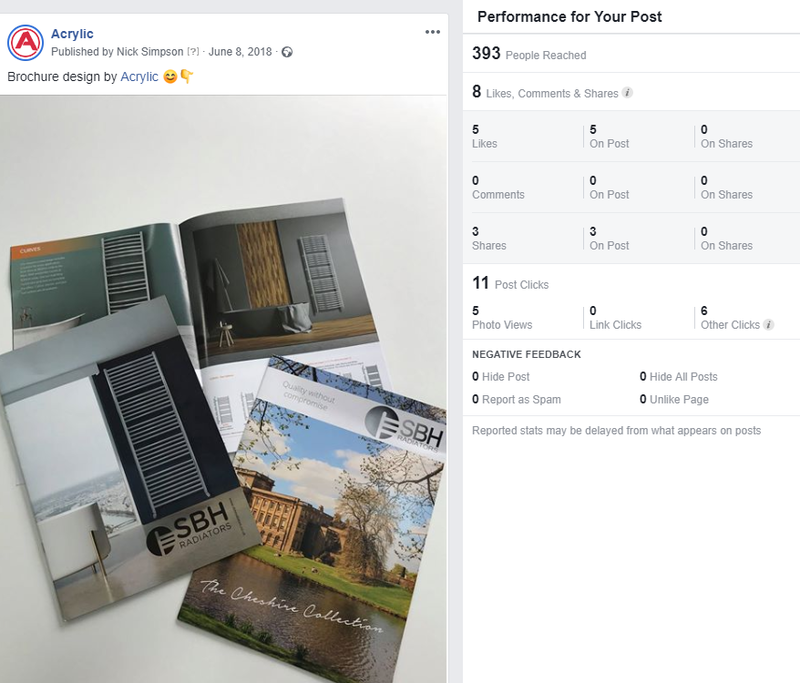 Had we run either of these as part of a promotion, rather than relying on organic reach and engagement, we’d have seen even better results, and achieved a far higher ROI had we run an advert using a video as the visual, than exactly the same ad run with a photo. If that’s not enough proof for you, statistics indicate that video generates 1200% more social shares than image and text posts combined. If you really want to get your business out there, you need to consider what video content you’re going to put in place, not only on your social media platforms, but also on your website. It’s just the way that the marketing world works now. Video content is so powerful, and is only becoming more central to content marketing trends every year. You need to invest a good chunk of your time to really get the results that you need for your business. Simply adding videos into your business strategy can help transform your business. Use video as a tactic and use it profusely, with high-quality video content, to develop the growth of your business. A big question that you’re dying to hear the answer to is why exactly should you be using video marketing? Many businesses overlook the benefits of video marketing and often don’t see videos as a great marketing tool. This is exactly why you need to join the ever-rising trend this year, before every business in your niche does the same. One of the massive benefits to video marketing is that videos help put a face to your brand. Having someone charismatic on camera can develop your brand and create a personality for your business. Businesses are built on trust and loyalty, if you can show that your team are reliable people, you can guarantee that you will be seen as a more reputable company. Give your audience the opportunity to really get to know you, and gain a real insight into your working life and ethos. Video content works so well for SEO too. 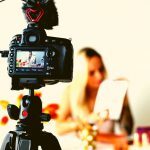 Even if you don’t want to vlog on YouTube, haven’t created platforms on social media just yet (which you totally should! ), you can still use video marketing to push your business forward in a hugely powerful way through SEO alone. Using video content can create strong backlinks, and drive traffic to your website. Posts including both written and video formats have the ability to rank higher on SERPs and work effectively in powering your SEO on your website. Now, we know SEO is an extremely hard topic to process, so check out our blog, for a little bit of guidance on how to perfect your website SEO. Not only will it help your SEO, but video marketing can also help give your conversion rates a quick boost. If you can show that your product or service actually works through tutorials or testimonials, then you have a better chance of converting traffic into business, and retaining that business as long-term clients. People watch videos a lot longer than they would pay attention if it were a picture or a written post. They can retain small snippets of information because of the visual aspect and it helps them to remember that information again later on. With features like autoplay now on videos, people get sucked in on social platforms and will start and end watching videos on completely different topics. If you can tell a story and tell it effectively, you can really push your message out to your audience. Video marketing is simple…but only if you know how to do it effectively. You should be using video marketing to increase brand awareness and allow your audience to connect with your brand by exploring your business’ ethos. Video is also the perfect medium to use to educate your audience on the benefits of your products and services, as information is more readily absorbed and recalled when it’s in video format. If you want to do it well, you’re going to have to wise up to the world of video and really delve into the life of video content. You’re probably going to use these videos as a way of developing your business, and that’s brilliant. But remember that your core objectives should be showcasing your business and engaging your customers, rather than selling. This is the most important part to understand about video creation. If you create video content from a place of selling people will switch off. If you create from a place of adding value and sharing your business ethos, sales will naturally follow. You need to tell a story and use these videos to share your message. If you want to present your business in a certain way, maybe as a company who cares for the environment, show them how you care. Show your audience how you’re making a difference and helping save the planet. The positive impression you create will make people more aware of your business, and more likely to choose you over the competition. Maybe you want to share a competition with your audience but don’t want to bore them with the legalities and T&C’s. You can use videos to advertise your offers and key information that they need to know, whilst providing a visual element to that content. It’s the easiest way to get the message out there, whilst keeping it short, simple, and engaging (even when you include the occasional sales pitch). You may need to think about the length of these videos. Are you using them as short videos for Instagram Stories or Highlights? Maybe you want to use them for running an advert, so you need the videos to be a little longer? Or perhaps you’re creating vlog content or webinars and need considerably longer videos to maximise the value you’re delivering? The typical rule is the shorter the video, the better they perform. Obviously, this varies across each platform. On Instagram, we would say to keep them around 30 seconds to 1 minute long on your stories and highlights, and up to 10 minutes on IGTV, around 1 to 3 minutes on Facebook, 45 seconds on Twitter and between 4 to 45 minutes on YouTube. On YouTube it all depends on what type of content you’re uploading. If you’ve got vlogs going up keep them to at least 4 ot 5 minutes and a maximum of 45 minutes. You want your content to still be engaging whilst ensuring your audience gain something from it. But if you’re using video content to boost your blog SEO, it’s best to record the full post in video form. If each blog is around 2500 words, you can get around 15 minutes of video footage. You can chop these videos up to use on social media using our recommended lengths above. For example, we’re chopping our full length vlogs (used here on the blog) into 3 minute video chunks to use on consecutive days on Facebook, and splitting them in half or uploading them in full on IGTV (if you are a larger account and are verified you can have up to 60 minutes). Meanwhile, over on YouTube we upload the full video, and embed that on the relevant blog post here on the website. If you’re chopping them up on Facebook, playlists make it easy for people to still watch the full video, while maximising your engagement. If that all sounds very complicated, don’t worry – you’re only recording one video, you’re simply using it in multiple ways to ensure you get the best benefits on every platform. A top tip that you really need to remember is that these videos need to be engaging. Create entertaining videos and schedule them in for the most popular times. Monitor your data and make sure that if you’re not instantly getting the results you want, you continue to work hard at improving them by testing out different styles of video, and other times to post. Video content will get you there, but you have to have patience and persevere. If you need some inspiration, we’ve just launched our shiny new website with a lot of video content on Facebook, so do check that out. Linking events with videos is a great way to boost your reach, engagement, likes and follows. There are many ways that you can kickstart your video marketing. If you’re looking to start a vlog, we have some top tips to give you from our previous blog that you should go check out to help you really get to grips with how to create videos effectively. The biggest takeaway is to plan, and this is the first thing you must do. Depending on what video content you want to film, you may need to mix it up a little. This may involve purchasing some videography equipment like a high-quality camera or a microphone, or if you’d prefer you can hire a professional (like us!) who can film it all for you. When you’ve decided what you’re filming (such as tutorials or how-to videos), you’re going to need to find someone in your team with the confidence to chat charismatically to a virtual audience and to a camera. You’re going to need an expert editor too, because high-quality videos don’t just get filmed and uploaded straight up to YouTube or Facebook. They take time and a lot of it! If you know you need to get on board with video marketing, (like everyone else already has!) then it may be best to hire a professional team with the skills to film it, edit it, and schedule it all in for you if you have no time to do it yourself. A creative digital marketing team will be able to write you a script too, so when you record videos you can simply read from an autocue without having to fumble over your words, or worry about what you’re saying – sounds blissful, right? As we mentioned earlier, if you want to create quality videos, you’re going to need some decent videography equipment. Have you got a high-quality camera? Some lighting to ensure the perfect shots and avoid shadows? What about a microphone capable of filtering out background noise and interference? Buy the equipment, and teach yourself how to use it properly. Hire a great team to help you get the best shots, without having to invest all of your time into figuring out how to turn the camera on and off, or where to place the lights so you don’t get an overcrossing shadow. Think carefully about what will work best for your company and do it to the best of your ability, to really maximise your video marketing potential. Video content is extremely powerful now, and it will only get more and more potent as time goes on. It’s so versatile and allows people to create the content they want on their own sites and platforms. It’s super easy to start up and you can even do it from the comfort of your own office, or even from your own home! Understanding the true power of video marketing and jumping on the bandwagon early is the best way to push for your success. If you’re mulling over your next marketing strategy, video needs to be a huge part of it. By 2021, 80% of all content will consist of video. Audiences are opting for more video content and if your business doesn’t have any, how are you going to give them what they want? How are you going to prevent them going to your competitors, who do have content in the video format they crave? At the end of the day, it all boils down to your ability to keep up-to-date with trends and the marketing industry. The reality is that video is the future of marketing, at least until the next big thing comes along and gives us an even better way of doing it. The longer it takes you to make the shift to video in your marketing, the more your marketing strategy (and business) will suffer. Striving for a successful future and a strong relationship with your audience is what 2019 is all about. We get it, it’s all well and good to talk about the value and power of video, but actually creating it isn’t so simple. Sometimes it can’t be done in-house and you may need to call in the big guns. Acrylic’s very own Social Media Expert, Izzy Ford, is the genius behind every Tweet, Pin, Post, and Live on our clients’ social platforms. When she’s not penning polls, tracking down awesome images, and creating amazing competitions and events, Izzy writes blog content, and takes every available opportunity to get behind the camera and hone her videography skills. Video Marketing2019.03.25What Is Video Marketing And Why Is It So Powerful?